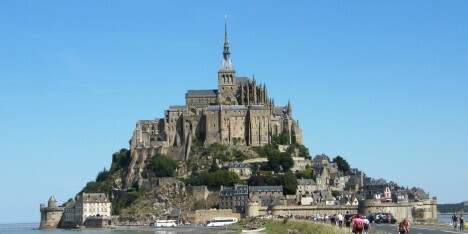 Image published by blogadmin	on August 28th, 2011	in post The Isle Mont-St-Michel. A view to the Mont-St-Michel, the photo was taken from the acceess road. On the top, see a golden statue of St. Michael, located on a neo-gothic spire.